Welcome to Day #20 of Chocolate and Peru Theme Week. Today's Nina Fine Chocolate 70% Cacao bar was produced and distributed by Proyecto Chazuta (Chazuta, San Martin, Peru). 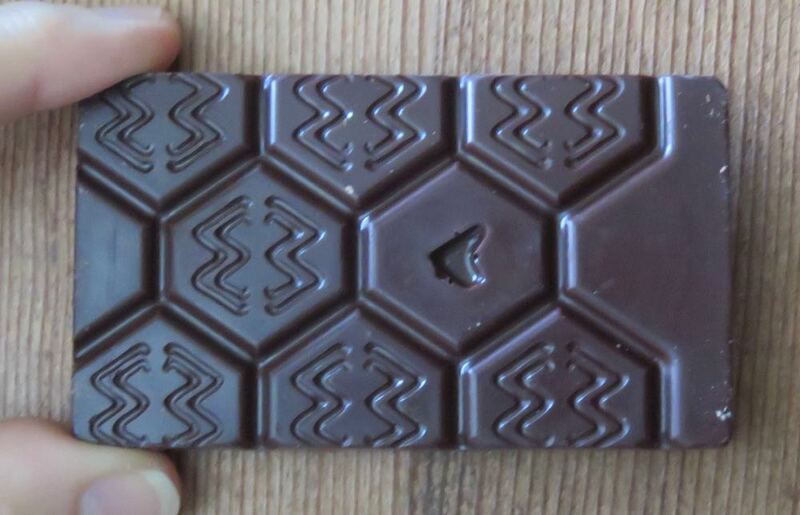 This bar was part of a 4-bar assortment pack that contained 45, 55, 70 and 85 percent cacao bars. 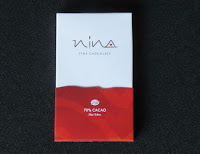 Today's 70% cacao chocolate had a chocolate, green and dried fruit aroma that blossomed into a fairly strong, sweet and sour upbeat tart fruit acidity. The same fruit sweet and sour blend tailed off in a long finish, accompanied by a slight astringency.